It’s been 20 years since Harry Potter first hit our shelves and the obsession with the boy wizard is showing no signs of slowing down. Whilst working on some accounts in the stock room earlier in the week, with a curtain separating me from the kid’s room in the shop, I heard a young boy come bounding up the stairs shouting “Harry Potter! Mum, it’s Harry Potter!!! !” whilst running towards our Harry Potter display. We mentioned in our newsletter on 23rd June that we have copies of the beautiful 20th anniversary ‘House’ editions of Harry Potter and the Philosopher’s Stone in stock which form the centre of our Harry Potter display. The four books are stunning re-issues of the original story and each of the covers has a different design reflecting the four Hogwarts houses. This little boy was overwhelmed by the fact that there was a book available that focussed on his favourite house - Gryffindor. With words tumbling all over each other, he was at absolute pains to let his mum know why it was the Gryffindor was the house to be in and, at the same time, he decided that it was imperative that she also needed to know what characteristics the other houses consisted of and why, indeed, that made Gryffindor the house of choice (bravery was definitely a big plus). By his mum’s reaction, it struck me that this was probably not the first time - and almost definitely won’t be the last - that these differences have been analysed in some detail but it was so lovely to hear the enthusiasm pouring out of this boy about such iconic stories. Following the Harry Potter theme, we also had a couple in the shop this week who bought one of our gorgeous illustrated editions of Harry Potter and the Philosopher’s Stone. We got chatting and the man told me that he was buying the book to read to his five-year old son. He had decided that it was time to introduce him to the world of Hogwarts and what a great way to do it! 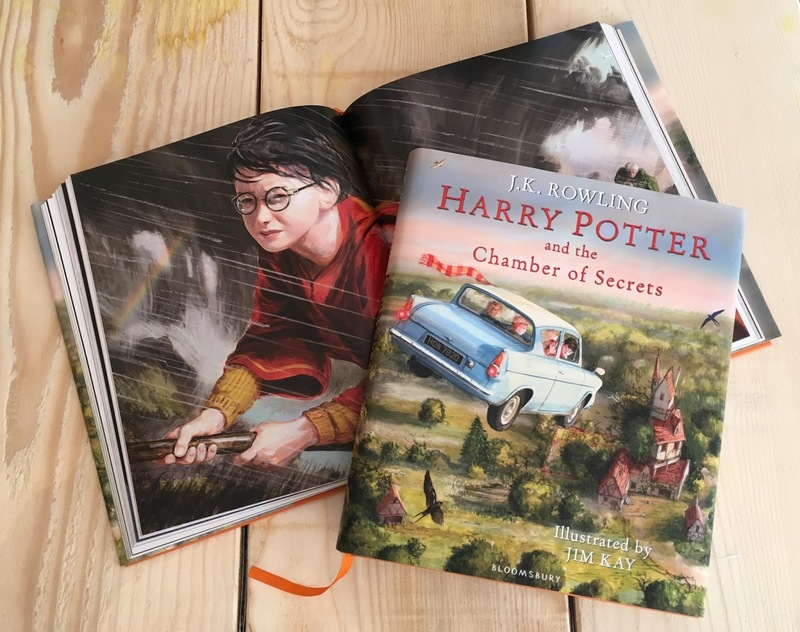 These editions (the Philosopher’s Stone and Chamber of Secrets are currently available and the Prisoner of Azkaban will be published in October) contain some simply stunning illustrations and have been flying off our shelves as a popular ‘Welcome to the World’ or Christening day presents. What a magical thing for a father and son to share! It’s something that I am sure will create some amazing memories for that lucky little boy as he gradually discovers the world of Harry Potter in bite-sized bed time reading sessions. With all of this going on and the fact that we have just announced that we will shortly be hosting an official Harry Potter Quiz (August 17th at R&R – Please get in touch for more details), I can’t help but wonder what it is about Harry Potter that makes it so special. Is it the pure escapism or the fact that good ultimately prevails in most cases? 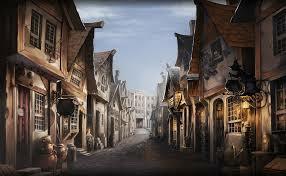 Maybe it’s the amount of detail that J.K. Rowling goes into which helps us form such clear images of a non-muggle existence or perhaps it’s the sheer delight at the prospect of wandering down Diagon Alley and stopping off for a Butterbeer before heading into Ollivanders to choose your wand. Who knows? The experience will be different for every single one of us but no-one can dispute the fact that every detail of the story is simply magical and I am completely in awe of the fact that all of those original ideas came from one woman sitting in a café in Scotland. What an inspiration to come up with such unique and memorable tales. 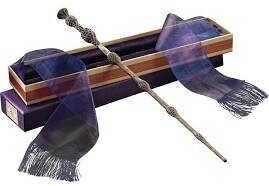 No-one knows what creates the magic but one thing is for sure, Harry Potter isn’t going anywhere any time soon.